Golden Week is a holiday period varying from 7 to 10 days depending on the year, normally from the end of April to the beginning of May. Schools, universities and many businesses close or operate in reduced numbers because many employees take the opportunity to rest. This year Golden Week is from April 28th to May 6th. 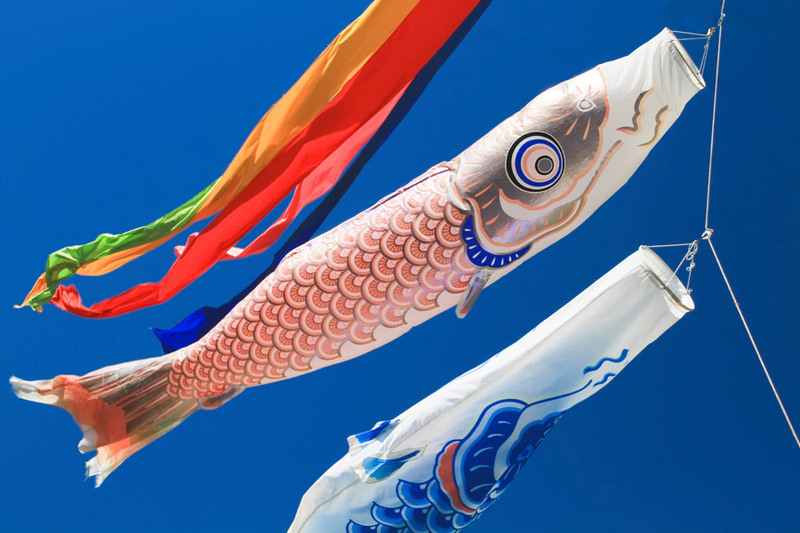 During Golden Week there's children's day which is a great opportunity to see the Koinobori (carp-shaped windsocks), which are usually decorated by families with a child who is a boy. Golden week is one of the most crowded times in Japan, with locals and tourists alike wanting to travel abroad or within Japan. Some people like to hide from the crowds and others like to embrace them. 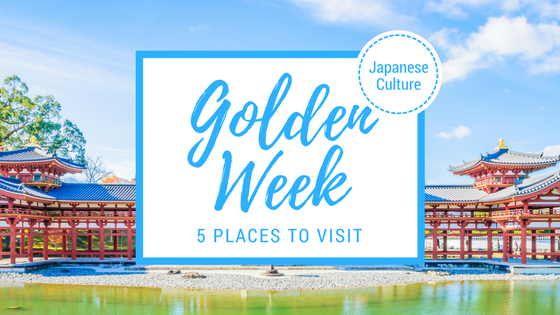 Here we'll introduce you to our top 5 places to visit during Golden Week. 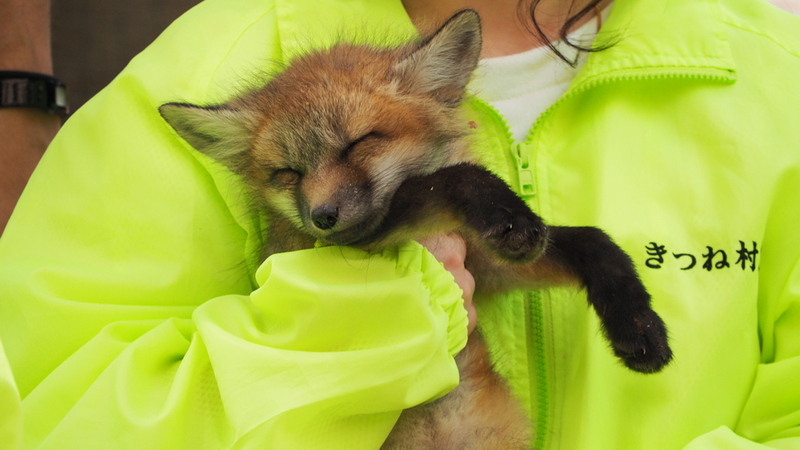 During Golden Week don't miss the chance to hug a cute fox cub! Unique fox-themed zoo, where more than 100 foxes live in a free-range garden surrounded by nature. Here you can play and pet the foxes without any fences. Not a fox lover? Don't worry there are lots of other animals too, including rabbits and goats. Zao Fox Village is slowly increasing in popularity with visitors from abroad, check out the video below. Naoshima is well-known for its art museums, architecture, and sculptures. If you love art, then this is definitely the place to go. There are loads of things to do on this small island, including the famous Chichu Art Museum which has paintings from Monet's "Water Lilies" series. The Benesse Hous Museum displays a lot of contemporary sculptures. 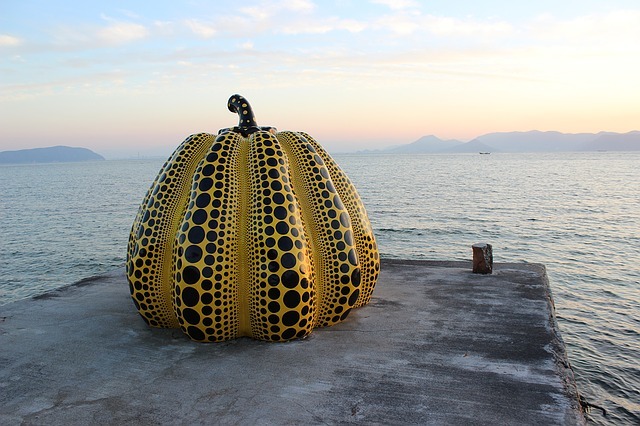 And the island's most iconic sculpture of all one of Yayoi Kusama's pumpkin stands by Miyanoura port, as seen in the picture above. Hakone is a popular destination all year round due to the great views of Mt. Fuji. Hakone is extremely famous for its hot springs, however, it has a lot more to offer. Try crossing Lake Ashi on a pirate ship, or taking the cable car up the mountains. 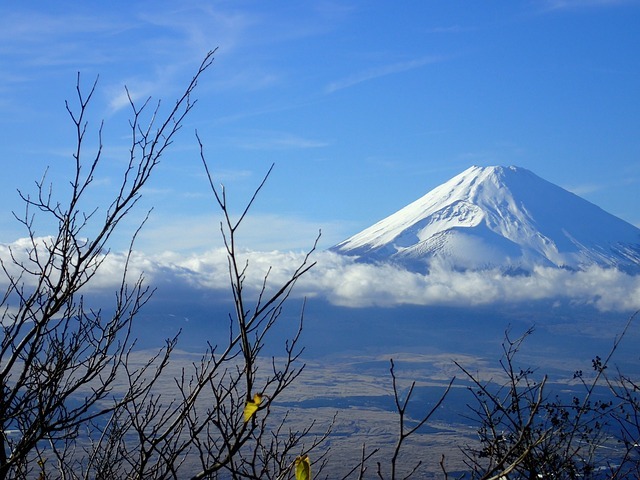 Or take a trip to Fuji-Hakone-Izu National pack, which is well known for its hot springs and views of Mount Fuji. If you plan to visit Kyoto, then this area cannot be missed! Arashiyama has been a popular destination since the Heian Period (794 - 1185) and is extremely popular during the cherry blossom and fall season. 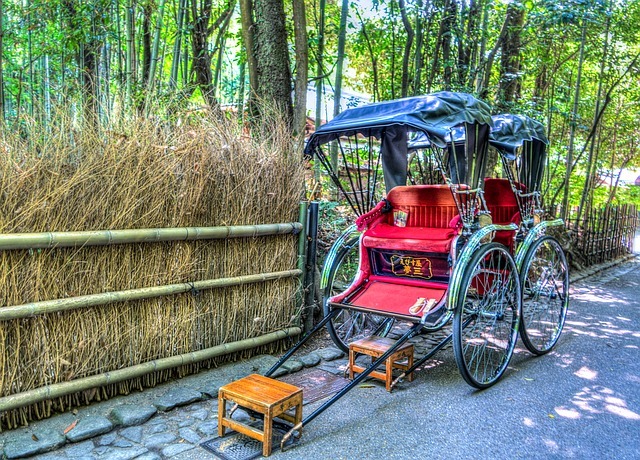 Take a walk in the shade through the bamboo grove and amongst the soaring stalks of bamboo, or take a two-hour cruise from Kameoka to Arashiyama. Always wanted to see Japanese macaque monkeys? Visit Arashiyama monkey park on Mt. Iwate on Arashiyama, the Iwateyama Monkey Park is home to more than 140 Japanese macaque monkeys. As you can see in the video below. 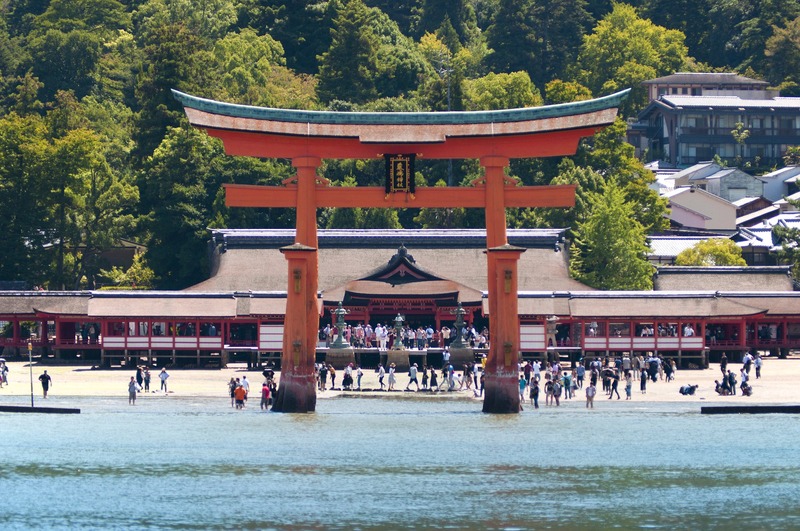 Miyajima, also known as Itsukushima is an island by Hiroshima. The island is well-known for its ancient temples and beautiful forests. Just offshore the entrance to the Itsukushima Shrine, there's a giant Great Torii Gate. Take a hike up Mt Misen and enjoy the incredible views of the island, as well as the primordial forest and ancient temples. There's definitely something for everyone on this island.